I love the looks on the two children’s faces. They had to stand there for at least half an hour, holding hands and trying to behave. I remember trying to stand still for that long. It would seem like centuries. I still have difficulty. So the couple getting married are the Headmaster of Uru Secondary School’s daughter and her fiancée. I can’t remember their names. It was a very long ceremony of which we understood very little. 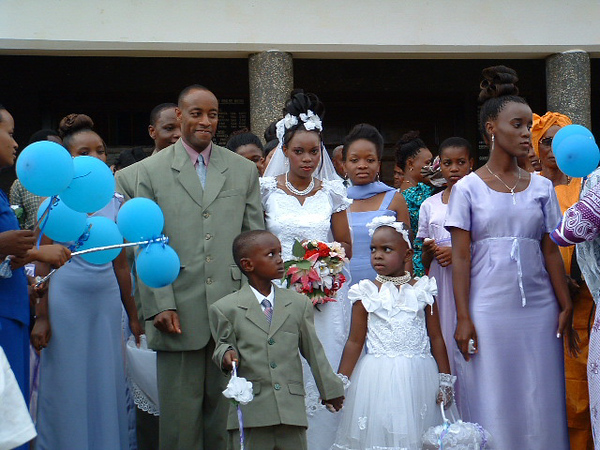 There were four different couples getting married in the Cathedral in Moshi.